An Orbital Sciences cargo spacecraft launched from NASA‘s Wallop’s Flight Facility in Virginia Thursday to carry supplies to the International Space Station. An Antares rocket lifted off from Wallops and will transport 2,780 pounds of load including science experiments, crew supplies and spare parts to the ISS, NASA said Thursday. 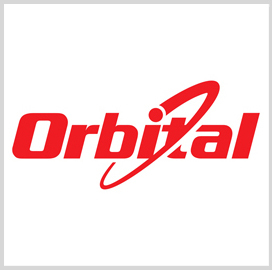 The mission is Orbital’s first contracted cargo delivery to the station under a $1.9 billion Commercial Resupply Services contract with NASA and the company will fly more than eight cargos to the ISS through 2016. “American astronauts have been living and working continuously in space for the past 13 years on board the International Space Station, and we’re once again sending them supplies launched from U.S. soil,” said Charles Bolden, NASA administrator. Expedition 38 Flight Engineer Michael Hopkins will work to connect the Cygnus spacecraft to the station on Sunday, with Koichi Wakata of the Japan Aerospace Exploration Agency and NASA’s Rick Mastracchio serving in backup positions.